HBOR plays a key role in the promotion of Croatian exports through the financing of investment in modernisation of production and new products, working capital for pre-export finance, providing loans for the foreign buyers of Croatian goods and services, issuing of performance-related guarantees and insuring collection of payments for export transactions. Post-shipment payments and obligations (warranty guarantees) In addition to export transactions, exporters are offered favourable loans for modernisation of production and new products as a precondition for increased competitiveness and successful entrance into a foreign market. HBOR has developed special programmes for financing export transactions, through which exporters are offered working capital for pre- and post-shipment export finance and for financing their foreign buyers in major export transactions. In addition to export transactions, exporters are offered favourable loans for modernisation of production and new products as a precondition for increased competitiveness and successful entrance into a foreign market. HBOR performs export credit insurance transactions for and on behalf of the Republic of Croatia with the objective to provide support to the Croatian businessmen active in the foreign markets. Export credit insurance programmes of HBOR have been developed in accordance with the needs of Croatian exporters in order to protect them against the risk of non-payment by foreign buyers, the risk of non-performance of export contracts, to facilitate access to sources of finance for exporters and obtaining of export guarantees from commercial banks. The beneficiaries of HBOR insurance programmes are exporters and commercial banks that finance Croatian businessmen when realising their export transactions. 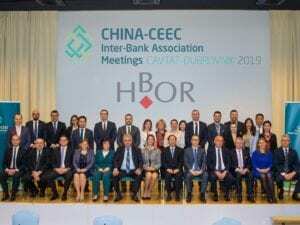 HBOR as the state export credit insurer offers to its beneficiaries the collection insurance against non-market* commercial and political risks. HBOR also offers insurance against temporarily non-market commercial and political risks pursuant to the Decision of the Croatian Competition Agency on the application of the exemption clause for short-term export credit insurance and reinsurance for risks that are temporarily deemed non-market risks (Official Gazette of the Republic of Croatia No. 103/13), as confirmed by the European Commission and in effect until 31st December 2018. Insurance of all risks that may be deemed temporarily non-market risks due to the lack of appropriate export credit insurance. *Non-market risks are commercial and political risks of public law and private debtors with the headquarters outside the European Union or OECD, the duration of which, the production period included, does not exceed two years, or all risks towards all debtors, regardless of their headquarters, the duration of which exceeds two years, including the production period. With 24 weaving machines, 80 employees and own designer team that developed more than 2000 different patterns, Tvornica tekstila Trgovišće d.o.o. (TTT) is today the leading manufacturer of damask fabrics not only in Croatia but also in the region. One hundred years of tradition in the production of top quality fabrics is a guarantee of quality, and the products of Tvornica tekstila Trgovišće decorate the best Croatian and European hotels, sophisticated English restaurants and numerous hospitality facilities and households across the demanding markets of Canada, Switzerland, the United Arab Emirates, Russia and countries of the European Union. “HBOR’s support aided us in overcoming the crisis period and stabilising the operations when it was most needed. Favourable loan terms and conditions enabled us to invest in the development of operations and to strengthen our competitiveness, as a result of which we have managed to supply our products worldwide. We continue to use HBOR’s funds for pre-shipment export finance, and the export credit insurance programme gives us additional security in conducting business and collecting payments”, stressed the representative of Tvornica tekstila Trgovišće d.o.o. HBOR classifies countries into one of seven risk categories (1-7). Category 1 represents the lowest and category 7 represents the highest level of country risk.